Welcome to the Harris Teeter complaints department brought to you by HissingKitty. Experienced poor customer service? We make it easy to file a formal complaint against Harris Teeter online. Simply use our free form and your feedback will be instantly forwarded for review. Need to contact the Harris Teeter corporate office? We have the mailing address, phone number, and email address listed below. This store does not even deserve a star. When it comes to the way they treat their black Americans couponers. I feel like I have been targeted. I was couponing and the cashier rang up my items she said she did something wrong and now I had overage. The Assistant Manager was called in and I was accused of having fraudulent coupons . I was instantly offended because I do not steal and beyond being a coupner I am a neighborhood customer. So the manager came in and did not solve the issue although I should have been checked out they canceled my transaction and rerang my items. So a friend of mine over heard this same manager talking about me to another customer in reference that we come in the store wit fraudulent coupons and cause the store to lose money. Pretty much saying that I am stealing. I hear of other minority couponers going through the same harassment . I left the store feeling very upset and I was quite emotional. The gas points would not work at the gas pump at 2 BP gas stations. I called the store (that I had just left) and told them that I could not get my points to work and that the gas station could not either. The clerk tells me "well that's just life". Is this the way they are supposed to treat their customers. His name is Tom Doyle and he works at Store #281 in Gastonia, NC. This is located on Robinwood Road. I asked to speak to a manager but was told there was not one there. This happened tonight on March 31, 2019 around 7:00. I really think you should discontinue your fuel points program. I love HT. I shop the Hollymead store in Charlottesville. This is about the man who works in the deli during the am/afternoon shift. Don't know his name but he is the middle aged man with dark hair and mustache. He's rude and nasty. You ask for thin and you get what he cuts. He gossips about other employees right in front of the customers. Someone walks through the deli and he's whispering and gossiping the minute they walk away He's also very rude to the customers. Makes everyone think they are a bother when he needs to wait on someone. He's obviously not a happy person. I hate getting cold cuts when he's there. It's becoming a miserable experience. Unbearable when he's there. My husband and I have been getting our prescriptions filled at the Courthouse Marketplace HT in Virginia Beach since they opened. My husband was prescribed a medication, and it was written for generic. However, the pharmacy has been filling the prescription as brand, which cost $266/month. The genetic is $66/month. When questioned about it they said they were filling it as prescribed, which is not the case at all. Needless to say, my husband requires this medication and had to go without a few times because we could not afford the brand. This should NEVER have happened. My husband's doctors office called the pharmacy last week and told them it was written as generic and should be filled as such. My husband called the pharmacy to follow-up on Thursday, February 7, and they said they had to order it and it would be in on Monday, February 11, which is today. We JUST received a call that they cannot fill the prescription because it's out of stock. So, now my husband is without his medication again due to the incompetence at the pharmacy. We are out hundreds of dollars because the prescription was filled incorrectly. So now what? When does he get his prescription filled. Was it even ordered when he was told it would be? The staff in the pharmacy, Henry and Shade, are anything but friendly. We are seriously considering finding another pharmacy with a customer friendly staff, and who can fill a prescription as requested. The employees in a pharmacy know a lot about our health issues, and it would be nice if at least we got a smile or a friendly greeting. However, every single time we go in there we still have to tell them our name, and never even once get a hello. I purchased three bottles of your Harris Teeter yourhome drain opener from the Fresh Fields Harris Teeter. The product leaked on my leather seat and destroyed the leather. There was no warning of the bottles leaking and I am facing a large expense in repairing my seat. I would like to be compensated for the expense I will incur when repairing my seat. I shop at Checkers Mall at Carnival almost daily. Again today I had the lady at the till shouting a conversation with the next till lady. I have had ladies chewing gum disgustingly whilst ringing up my goods and picking their noses. Nobody greets and mostly look miserable. Today I bought a Mince Jafel when I got home it was an egg,mushroom & bacon one. That is like ordering a beef burger and getting a chicken burger. I have complained to management before and nothing gets done. This seems to be an ongoing problem and we the customer are the ones paying the staff and keeping the shop open. What does this say about service.? It would be appreciated if something can be done about this matter. Awful service. The little girl told me that she wanted to make sure that it was me. I have moved to another town and I remarried five years ago. I am in my 70's and do not remember my old P.O. Box, but I gave her my card number, name and where I lived. I do not have an email address, and I do not remember the old one. I finally hung up on her. She was terrible to me. I love your new Harris Teeter store that has recently opened in my old home town, and my new husband and I don't mind driving the 40 miles each way to be able to shop there. I do not understand why anyone would not want our business. Very sad. I was just completing my shopping when I stop an employ and asked where the hot chocolate was, he (Eric) stated that they don't make it any more due to the stuff that happen in Mexico, that's where it all comes from even Walmart is not selling it. Then he (Eric) reached over and put his finger deeply into my breast. I yelled out HEY as he went around my cart and down an isle stating that it's right here. I got the hot chocolate and went to the checkout I was very shaken up due to this so I asked the man in front of me to watch my cart and I went outside to smoke. I was so upset. Then while checking out the new girl did something wrong and asked the girl next to her to call someone. On the second call, Eric came fix the register, before he got there I said Oh no not him! After fixing it he then leaned in and asked if I was OK. I said I never come back here again. I told the checkout girl what had happen and she said oh that's not good. Then as I was leaving he (Eric ask again if everything was OK) I again stated I would not ever come back. While driving home I decided to go back and tell the manager because I did not want this to happen to another women. Which I did, I ask for Eric and the Manger together, when Eric walked up to me he put his arms out like he was going to touch me again. I held up my hand and said Don't Touch Me. They both went whoa, I explained to Deb and Eric what happen she Deb said let me get the store manager I'm just the assistant manager. So, I went through the hold story again. I gave him my name and phone number. He gave me Shawn Helton and his number as the Dist. Manger. I called the 1800 432-6111, I talked to Ellen, She called me back and said nothing can be done until after the Holiday. I complained, that something like this should have direct action taken, but she stated that it is out sourced to another dept. and no one is there and will not be until after the holiday. I am a regular customer in Raleigh, NC at your store location in the Stonehenge Shopping Center on Creedmoor Road. In the month of December I have been in this store on December 19, 20, 22, 27 and 28. It has been extremely annoying during these recent visits that a large number of products are out of stock ,numerous produce bins are empty, there was very little Christmas candy available two weeks before Christmas. I was told by an employee that they had been trying to get Christmas candy from other stores for two weeks. One of your personal shoppers told me they aren't buying enough stock. I've been told trucks are delayed. It was terrible on the 27th and 28th. Today I had to go to another store to get items I wanted. I don't know how your personal shoppers can even shop for your customers. Today I was told that Corporate didn't send a truck since after Christmas. until today. What very little broccoli in the bin was spoiled. That is ridiculous. If this situation does not improve, I will soon be shopping elsewhere, and not at a Harris Teeter. My daughter shops at another local HT and she does't not seem to have this problem. What is up? My husband purchased some crab legs on Friday Dec. 14,2018, at 7:24pm he was not asked for his phone number he was asked for his VIC card. He did not have his VIC card because he never shops, so the cashier used the store card. The crabs smelled like ammonia as soon as I open the bag. I called the store and stayed on hold for 22 minutes. I live 38 minutes away from this H.T I returned the crabs at a different H.T. The next day because they had my car smelling bad. That store could not refund me double because they could not locate the purchase. So I was advised to drive all the way back to Friendly Ave and Guilford College Rd because they could pull the video. The manager on duty at 3:40pm said with the video I still could not get double for spoil crab legs because the cashier use the store VIC card because my husband did not have his card. I had the crabs and the original sticker on the bag that states the date, time and other numbers was on that H.T. label. I went to Harris Teeter this morning just before 7 am to buy specialty sausages that are made at the store. They didn't have any. We asked the man working the meat counter. He said none had been made but he could make some. He said give him a couple of hours. I went back three hours later to purchase my 30 links of sausage. This was for a large family breakfast tomorrow, which is thanksgiving morning. Guess what? No sausages. He said he didn't have a chance to make them yet. He said it would take about another 45 minutes. I told him don't bother. You are only as good as your word... right? So Harris Teeter is not good at their word. I will go to a competitor and buy sausage for my family get together. If you can't keep the promise, don't make it. I drove 20 miles each way to Harris Teeter for this and for ... nothing. Thankfully Harris Teeter is not the only grocery store in my community. I will take my business elsewhere. Don't promise what you can't do. Obviously customers are not that important. Wow! I have been a loyal Harris Teeter shopper for many years. I have been eligible to receive a senior discount for 2 years and my husband for five years. I appreciate this discount, but scheduling does not allow me to use it on a regular basis. Today, I shopped the Harris Teeter on Eastchester Drive in High Point and at the end of the check-out process I asked the cashier to apply my senior discount. She did, but at the same time a gentleman bagging my groceries said to her "You need to check her ID." I have never been asked to prove my age for this discount and I did not purchase alcohol or tobacco products on this trip. I assumed this young man was in some managerial position to give the cashier this directive. I was offended that he thought I was taking advantage of your store, especially after an incident last fall where my credit card was stolen and used at that same store for over $2000 in gift cards and no one asked that person for an ID. Perhaps your policies for requiring ID need to be aimed at illegal purchases of age controlled substances and credit card purchases for large amounts instead of an old lady asking for a small 5% discount on groceries purchased. I am trying to get a job. every time I try I get locked out of system. even the forgot password code dos not work for me. we have been buying rib eye steaks from h.t. for years and they were good but the last 3 were as tough as shoe leather,just tosses half my steak tonight,i am ticked,paid good money for them. The Harris-Teeter on hwy 54 in Hope Valley commons is been investigated for assault my the customer service relations because a worker was seen being assaulted by the deli/Starbucks manager Tina. Douglas the co-manager there is rude and unprofessional. I heard and saw him say he was gonna hold a worker paycheck because her mom was up there with her daughter to ask about her unused vacation time. He thought she was recording him and waved in her face and continued to be rude. I will never shop in another Harris-Teeter again as long as I live. Every visit to Harris Teeter results in an overpayment NEVER an underpayment. Sales and clearance prices are not always correct. I think you do it on purpose as a lot of customers don't catch it and HT makes millions probably 10s of millions on over charging. So normally every one is really nice at the Harris teeter I got to off of my Holly Huntersville Rd Charlotte nc. My Dr had sent me to the pharmacy to get a prescription to save me money since my insurance lapsed so I had to pay everything out of pocket mind you I am a single mom of three who just got laid off from my job in June. As I approach the pharmacy, I hear a voice saying "I will be right with you . I said thank you. As she came to the counter she had given me a not so nice look . She said have you been here before . I said no ma'am my Drs sent me here she said fill this out. So I did as I was asked. As I was finished I let her know that I was through. She came back around looking at me disgustedd and said wheres your innsurance card. I said I don't have any at the moment they had cancelled it without me being notified she was already wallked away. So I stood there and saw her take a African American Customer looked aND smiled and spoke to her do kindly I hAve never felt so discriminated in my life as I have by her. This is not good Harris teeter . I am very upset and I mean very I am a good person just because I was on medicade doesn't make me a bad person. I am not racist my best friend is African American and I have been friends with her since 3 Rd grade. That's what's wrong with the world is people are so hateful towards one another. I am so sick of this how can she work for such a great company but yet have such bad qualities. I mean this really hurt I am very upset. I don't tthink I will be back I do think however I will call my attorney for discrimination her name is Stephanie. We went to the grand opening of the store in Greenville SC ( Augusta road ). We purchase three bags of grocery’s and a pizza . When we arrived home we notice we had only had two bags and a pizza . We immediately called the store to get a credit for the missing items a $3 carton of eggs and a $2 slice of cake . We live at least 12 miles away and the store management want to not credit the items but wanted to hand delivery to our house . WOW . It get better they delivered the eggs , two pieces of cake , beautiful cut flowers and two $5 gift cards . I am very impressed with your commitment to the customer . I will be a committed customer for life .Please thank the team for there Outstanding service . WELL DONE Harris Teeter .. The time is now 5:28 p.m. on Thursday, February 15, 2018. I just got home from waiting in line at the Harris Teeter Mayfaire for over twenty minutes. There were three registers open along with the automated lines. There were no baggers and lines of people at least five carts long at each station. The manager was "somewhere in the store" according to a cashier. This is totally unacceptable. Either hire enough people to do the job or we, along with the entire neighborhood of "Parkside at Mayfaire" will cross the street to the nearest Food Lion and they will get ALL our business. We are not only angry, but ready to take our business elsewhere if changes are not made pronto. I bought my week's groceries @ store # 250 in Kernersville, NC on 2/1/18. As my cashier was almost done scanning my items, a man approached to enter the checkout line and asked my cashier (Misty) if she was sick. She answered "yes" and he moved to another cashier. Then I noticed how much she was coughing and her stuffy nose! With the flu epidemic going on right now, I find it very irresponsible of the manager to allow a sick employee to interact with all customers!! Go out of my way to make purchase. Two different prices on the same product. Get to self check out. Need to show ID. Girl walks away and opens another checkout lane. NEVER going to HT again. 3rd bad experience is the last for me. I give them minus stars. My wife purchased Dungeenes crab from your Mount Pleasant (Belle Hall Community) store. The crab, after cooked, smelled like Lysol or a perfume. It was clearly bad. It has only been about 30 minutes since we have eaten it, so we don't know if we have had any sickness or anything else from what we tried. Although, we returned the seafood back to your location and received a double refund (Thanks! ), when we brought it back we were concerned that the staff did not seem to go to the seafood area to make sure no more was sold. 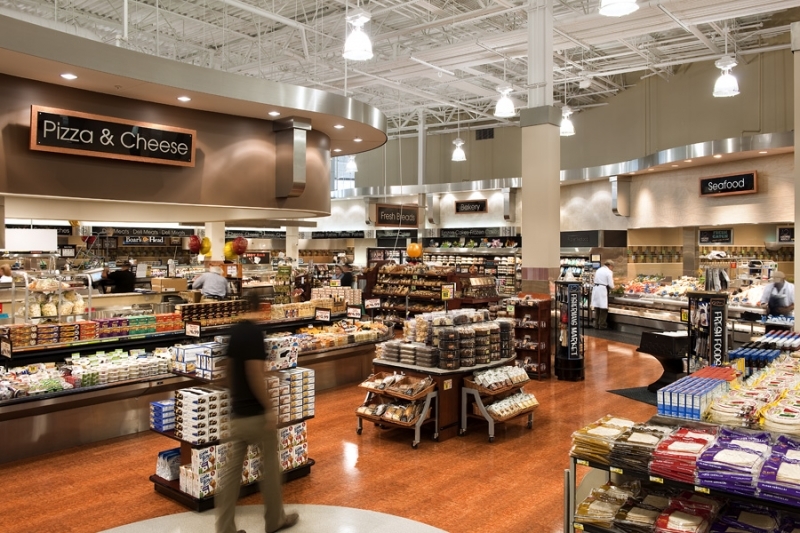 We understand that Harris Teeter (HT) is a large, very large food provider in the SouthEast. We also understand and appreciate that hiring and training new employees is a challenging task. We are also very experienced with shift work. We understand that staffing folks for Sunday or Holliday evenings is another apparent challenge. However, we shop at HT all the time and we don't expect bad food from you. We are writing to make sure that this problem was taken care of and no more bad food is sold. If someone didn't smell it, they could have eaten the bad food and gotten really sick. I stopped in the Harris Teeter store today to grab coffee creamer. While there, I decided to get a couple slices of pizza. How I wish I would have remembered the issues I had before. As much as I enjoy the pizza, the packaging is bad. By the time I had returned to work, the grease from the pizza soaked through and the cheese was stuck to the cardboard. This is a problem, a huge problem, for business people who end up getting grease all over their papers and clothing. I will not purchase another slice of pizza from this Harris Teeter establishment until the packaging changes. Unfortunately, I know several others who feel the same way. Recently I went to our closest Harris Teeter since our store closed, we have a drive to say the least. I say we, because I almost always have to have one of my children drive me due to my health issues. We like getting to see some of the folks that we were used to seeing at our neighborhood store, before it closed. However we seem to have issues when we go. My daughters have their own households and their own Vic cards. Yet, for some reasons when one of my daughters updated her change of address & email at the store it linked the two households. So needless to say it is an issue with couponing etc. We had even experienced an issue at pharmacy with our health insurance and Harris Teeter systems. I attempted to get the couponing part fixed at the store we had just shopped at. I had my order, my daughter had her order. I ended up over paying for my order due to the issues of cards being linked. After dealing with a rude manager, I called corporate, which ended up a bigger headache and nothing getting fixed. The gentlemen didn't really have a clue how the two were linked.Apparently per corp. There is no way to unlink individuals. Yet for years my husband has had a different vic than I have and we live in same house. Yet my oldest daughter who lives in a different house is linked to my card. I am not understanding how a company can link individuals of different households, but can't unlink them. This frustration of having to have someone drive you to a store of familiar faces to do shopping, to end up over charged, linked to someone else acct. And a rude manager who just wants to argue. How poor customer service on the part of this particular manager. And to think, I was going to this store for the friendly familiar faces of staff I considered as extended family. I love chatting with the guys in meat dept. Ms. Michelle & Rush some of my favorite employees to name a few. To end up with a sour, rude manager who didn't have time to return a customer's call. The customer had to call her back @ almost 24 hours after the first call. What has happened to my grocery stores customer service? This has been my most recent visit. My previous issue was with a Harris Teeter Pharmacy, I had prescriptions my daughter had prescriptions, we have same insurance with my employer, we have different addresses yet same health coverage (she's still in school) Like many college students they actually live closer to their schools,yet have insurance coverage with parents until age 26, compliments of newer laws. Pharmacy couldn't get daughters meds to go through on insurance without changing her address back to her previous address. Pharmacy assured me this wouldn't be an issues. I guess they were wrong. How does Harris Teeter not have a way of correcting these issues, of modern life? While picking up a few items (5) for my mother in law and a few items for myself (10) (no coupons) I was informed that it was store policy if someone else came behind me after I paid for one order I would have to get behind them to pay for the other order. Some one did come with a full buggy and I was asked to get behind them as per policy. I informed the cashier that she could ring me up or call the manager but I was not going anywhere. She could ring me up or tie up her register for 20 minutes until I was finished discussing this in detail with her manager. She chose to violate your non-sensical, moronic ill thought out policy in favor of common sense. I complemented her on exercising that common sense. You on the other hand are directly responsible for this foolishness. What say you rethink this because I will continue to pick up items for my elderly 86 year old relative and will continue to refuse to go thru the line twice. If I am so informed again I will call the manager, cut the VIC card from my keychain and hand it to them. I won't be needing it anymore. Harris Teeter Laurel MD. I called to speak with my husband because I had a real high fever, vision blurry and I just had a baby. Kimberly who is the manager answered the phone and she was unfriendly, and had a attitude because I ask to speak with my husband. Although I am the wife of an employee I am also a potential customer. She lacks phone etiquette, communication and customer service. While working you should always carry a friendly tone I would never do any business with the deli department at Harris Teeters and I will be passing this unfriendly experience around, because she took her attitude out on my husband because I am sick and I needed him to leave a hr early, thats very unprofessional. This isn't really about the store as much as way to not watch out for your neighbors. Due to hurricane Matthew, I've lost power in my franchise c-store. Harris Teeter was the only place around with power. I went to the store and asked the manager if I could move some items temporarily to their freezer so I wouldn't lose around $3000 worth of product. It was product in an ice cream freezer and two small uprights. Not much space needed at all. She said, I'm sorry honey, we don't have the room. Ever watch the Seinfeld episode about the toilet paper? I don't have a square to spare. Same thing. I've shopped at this store since its been built and when I get tourists (we're in a very seasonal area), I always send them here. Won't happen anymore. My space is limited in my store but I would have helped them if they needed anything. I support my community. Way to go, Harris Teeter, located in Williamsburg in Quarter path shopping center. Why is there such a different in Harris Teeter store in South Park compared to the Harris Teeter at 5706 Wyalong Drive in Charlotte? South Park produce was fresh, clean, neat along with the store. I brought a celery and 10 lbs. of white potatoes, not one rotten nor bruised. The celery was clean. Went to Harris Teeter on Wyalong as always, couldn't buy the celery because it was dirty and old and dirt between the stalk. The potatoes were bruised and some rotten. Why is it the rich get fresh, clean undamaged produces, we pay the say amount as South Park. South Park Harris Teeter lights were even brighter and floors cleaner. I don't want to give up on Harris Teeter, But why do we get damaged produce? There is an extremely rude associate at store 340. I was doing my nightly shopping one Tuesday night and overheard her at the U-scan. She was making a racist remark against an African American customer. He came in the store and walked out empty handed. This happens with all people. Sometimes you don't see anything you want. This foul woman had the nerve to say that he looked like someone who would steal. How ignorant and racist is that? We live in a world where we are supposed to be treated equal. Yet we have rude associates like this. I know all associates aren't bad but this is ridiculous. I heard this woman got a service excellence award? Really? How did this happen? She needs to be fired for her rude remarks. This is totally unacceptable for Harris Teeter. I may take my business elsewhere, It's 2016 and this should not be happening. This woman needs to be fired. I was hired for a new store opening in Bowie Maryland and part-time. I was given computer training and then in-store training, which lasted 3 short shifts (less than 5 hours each shift) Thought my hands on training was complete and I asked numerous times for a schedule, what shifts I would be working, etc and got zero response from management because the store had not worked out a schedule for its' employees yet. Asked about the corporate policy to reimburse employees for drive time and mileage during training and got the cold shoulder from management and was told they were unaware of said policy, even after I made a copy of page 55 from the associate handbook. After a week of receiving no shifts and no calls from management, was told I no longer worked at Harris Teeter because I missed a weeks worth of shifts when I was never given any shifts to begin with because the store still had not opened. Taken out of the payroll system immediately and now attempting to get money owed to me for training and given the cold shoulder by management for doing nothing but providing excellent customer service for the 1 month I was employed in training. What a shame if you new employees buy into the lies of one big happy family at Harris Teeter. Sarcastic and condescending management will only alienate and drive your associates to destroy your store and morale will sink the ship as well. People want to be given respect and never forget where you started if you want to be a successful, empowered management team. 45 years working and I have never been terminated until now. Good luck Harris Teeter and get rid of the crappy managers before they move up another notch in the corporate ladder. A little over a week ago on Sunday a friend and I (we are both senior citizens) were volunteering to help folks to register to vote at the Chapel Hill NC University Mall Harris Teeter store. The back of our clipboards which we prominently displayed to the public, clearly stated "Register To Vote" in big letters. We were not in front of the doors but to the left and about ten feet away (mostly for the shade). After a few minutes, the store manager came out and told us (politely) that we weren't allowed to do that due to company policy. I was taken aback since these were nonpartisan forms and we were not doing anything specific for either party. There are a lot of university students who have come back for the fall semester and are too far from home to vote easily which is why we were there. Many of them shop at Harris Teeter, especially on the weekend. When we moved away into one of the parking lot islands, the mall security in their car told us it wasn't safe and to please move. Two days later (the following Tuesday) I called Harris Teeter corporate and had to leave a message for customer service representative. It took until Friday before I got a call back. They politely told me that I needed to speak with the communications representative. I have done a lot of customer telephone outreach in my life but have never had anyone talk down to me. It was certainly unnecessary to keep repeating over and over how much Harris Teeter gives to the troops as if that was what I was calling about. I mentioned that I have shopped there for over 25 years and knew that they allowed fundraisers there (Girl Scouts etc). She repeated that we were not a 501C (nonprofit) and all in all was unhelpful and snooty to boot. I feel that the manner in which she spoke to me rather than what she said was what was offensive (ironic, since she is in communications for HT). I noticed that there are no places to post a review for Harris Teeter on Google or Yelp so I heartily thank you for giving me this opportunity. My wife and I started to use your Millsboro, De store about 5 months ago. We have been mostly satisfied, but today (Sunday June 26 at about 3:30pm) we were very taken back by 3 of your employees : the woman cashier, her manager, and another younger blond hair cashier. Although we have purchased fresh corn several times in the past few weeks at $2. 00 for five ears, it was reduced to $1.00 for 5 ears if you had a VIC card. When I mentioned this to the cashier, she told me they never sold corn for that price. I told her Giant had corn also 5 ears for $1.00 but we we somewhat loyal to HT and rarely use Giant. The cashier asked her manager who also told me you never sold at that price and the second cashier also kept shaking her head that I was Wrong. I'm sure you recognize that the customer is rarely wrong and never tell the customer he is senile, stupid, or dishonest.. Simply say that any prior prices are not in effect and that is the price today. That I could easily accept. The "you are wrong" approach by your 3 employees was poorly handled - stop telling me Iam wrong!. I told the manager I did not want to do business after being treated as stupid. The dollar difference was not the point, but customer being mistreated was enough for me. The manager offered the lower price after the embarrassment,, but again - the price was not the point. Don't ever tell a customer they are wrong, especially when all 3 tried to put me in my place.. I am a very faithful customer of your Harris teeter in Alexandria on duke street , I like to have my meat cut in the meet department but it's coming to the point where I think I'll start going to another store, you have a gentleman that works in the meat department by the name of Calvin and he always reek of alcohol and appear to be intoxicated almost every visit, he also at times is very rude it would be greatly appreciated if this matter is resolved in a timely manner. I am humbly offended by his actions and wish to report this to the Harris Teeter corporate offices. 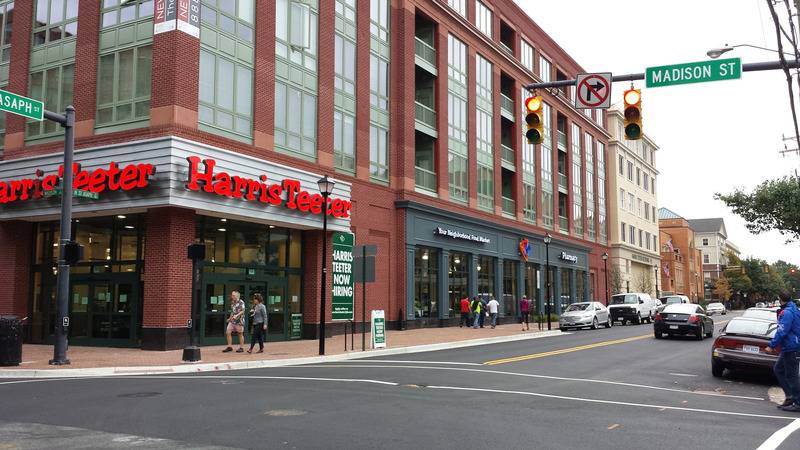 Harris Teeter a neighborhood food store and dedicated pharmacy super-market is an absolute solution for my family's health and nutrition. It's an awesome experience when I enter the store. The most wonderful support and the good quality items are the brand services of Harris Teeter. 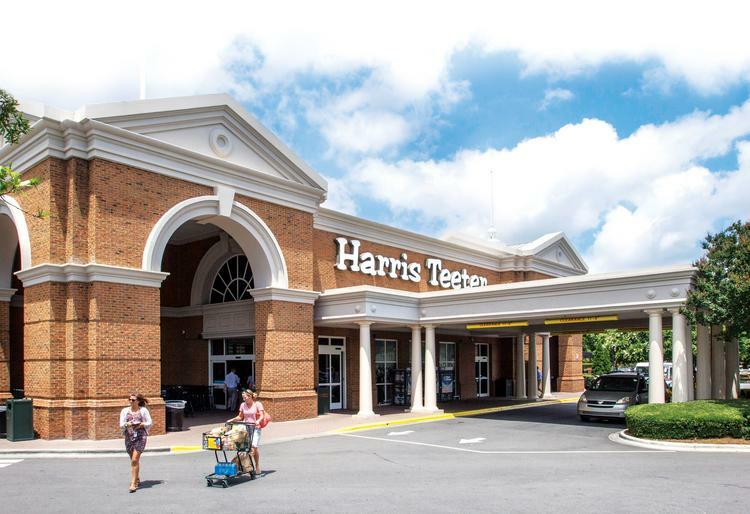 Harris Teeter has Butcher's market for ready-to-cook food, farmer's market for fresh fruits and vegetables, fisherman's market for seafood, pharmacy for the best medicines and flower gallery for bouquets and event based floral arrangements. Have feedback for Harris Teeter?